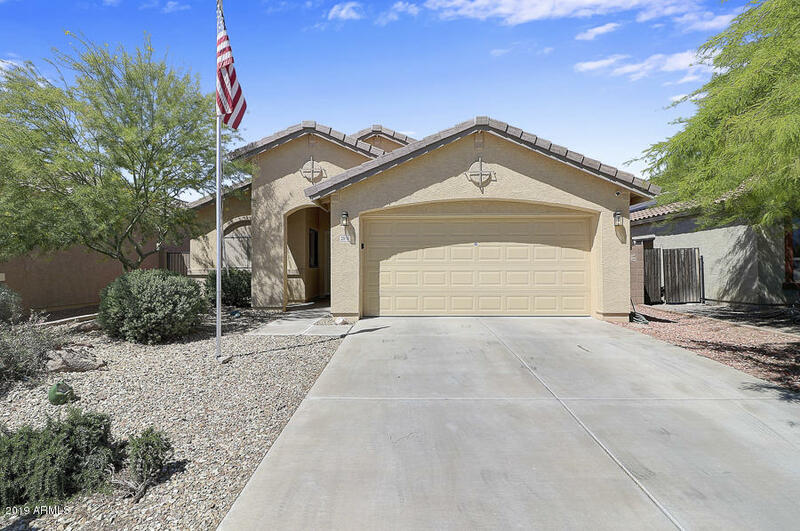 All TARTESSO UNIT 1 AMD homes currently listed for sale in Buckeye as of 04/19/2019 are shown below. You can change the search criteria at any time by pressing the 'Change Search' button below. 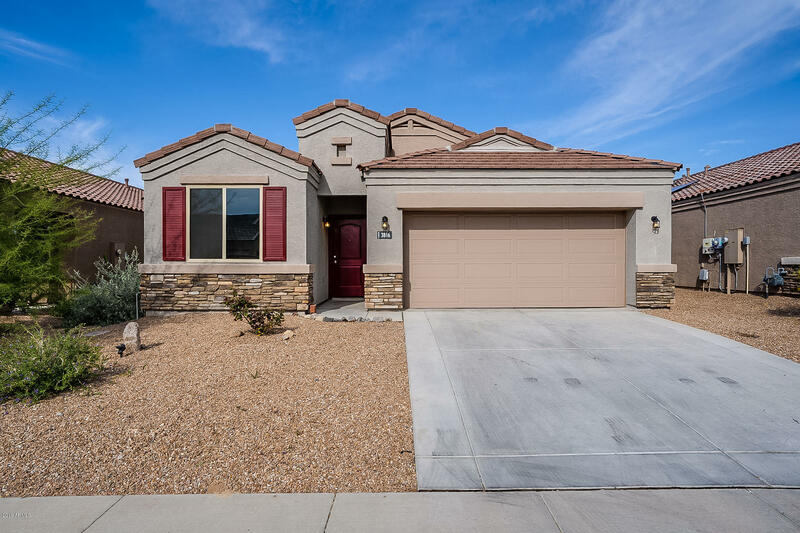 "Stunning two-story 4 bedroom home with a little over 3,100 sqft of living space! This home offers a formal dining and living room, wood and tile flooring, and custom color scheme. Spacious living room is off the kitchen creating the perfect entertaining space. Oak cabinetry, granite countertops, black appliances, double sinks, and a breakfast bar. Upstairs is a spacious loft and bedrooms. The master ensuite offers a double sink vanity, walk in shower with separate tub and ample cabinet space. 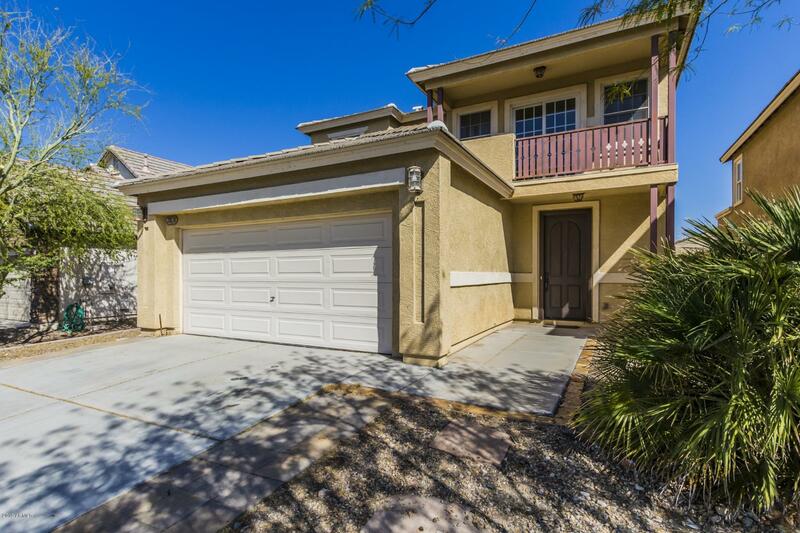 E"
"Extremely charming 3 bed, 2 bath, 2,175 sq ft home in Tartesso subdivision. Large open kitchen features gas range/oven & cooktop, granite countertops, & a kitchen island. House features mature trees in front yard, tile & carpet throughout home, large spacious bedrooms, included washer & dryer, formal dining room, office/den, great room, & 9 ft ceilings. Full master bath with double sinks, separate tub & shower, & private toilet room. 2 car garage, covered patio, & fenced in yard. 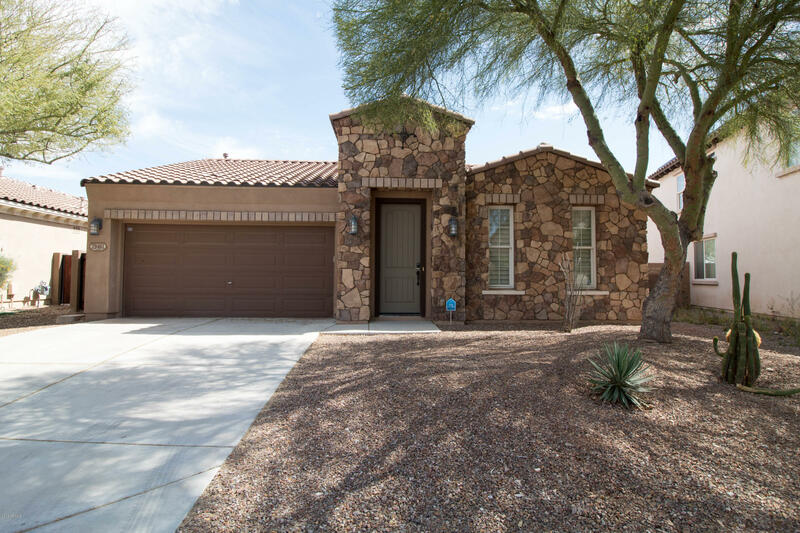 Right next to T"
"Come see this 4 bedroom/ 2 bath, single story home in Tartesso that offers a fresh, updated look throughout. The kitchen has granite counters with an island, black appliances with a gas range, and dark cabinetry. Master boasts an attached ensuite with dual vanity and a large walk-in closet. In the backyard, the covered patio opens to a low maintenance space, perfect for pets or outdoor entertaining. A short drive to shopping, dining, and the highway. Come view this home today!" "Looking for a great 3 bedroom home? This is it, built by Elliot Homes. This Kitchen comes with granite counters, pullouts in cupboards, all black appliances featuring gas stove, microwave, dishwasher and refrigerator. Inside Laundry room comes with the washer and dryer. Master Bedroom is a great size with double sinks in the full master bath. Each bedroom is just the right size and includes ceiling fans. The backyard is very Arizona low maintenance. Home also has leased solar and a very inexpen"